Have you noticed that your credit score dropped and you aren’t sure why? Finding and removing unwanted items on your credit report can be a hassle and getting rid of or dealing with them can be an even bigger one. Here are a few steps you can take to get rid of unwanted items on your credit report to help get your credit score back to where it’s supposed to be. It is your legal right to dispute anything on your credit that is inaccurate or incomplete. If ever there is something unwanted on your credit you can file a dispute with the creditor to have it removed. Asking the creditor to remove something that is already paid or is a false claim on your credit is well within your right. This can also work if you are trying make a large purchase such as a new home for your family. Asking creditors to remove certain items to make your credit appear stronger is something that can be done as well. However, just because you ask nicely doesn’t mean they are obligated to remove unpaid debts from your credit history. There are 2 main options you have when filing a credit dispute. You can either go to the Equifax, Experian, or TransUnion website and file your dispute online or, you can send a letter to them directly. If you are sending a letter through the mail it is recommended you send it certified so you can know for sure whether the company received it. This will benefit you if the company ever tries to deny receiving your letter. 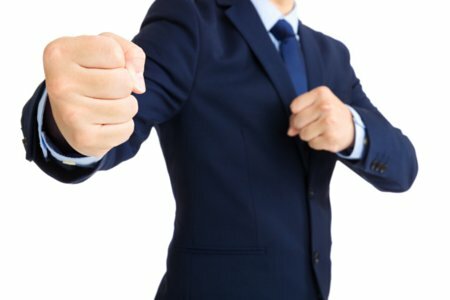 Are you having trouble communicating with the creditor that has a dispute against you? You might need to hire an attorney that specializes in credit issues to help you get the dispute removed from your credit. While you may be asking the creditor nicely to remove the unwanted item from your credit by agreeing to pay it the creditor isn’t obligated to do that. This is where a credit attorney comes in to play. They will make a good case for you with the creditor and also it helps show you are serious enough about getting your debts paid off that you’ve hired a professional to help. Attorneys can also spot items with incorrect dates or incomplete information you may have missed. This can help tons when trying to remove those unwanted amounts from your report. While there is a process for removing unwanted, incorrect, or incomplete data on your credit history some items will be with you for a while. These are things like bankruptcies and collection accounts. Bankruptcies can be reported up to 10 years after the bankruptcy was filed. Depending on if you do a Chapter 13 bankruptcy, and you completely pay off your total amount owed, you may be able to reduce the time it shows on your credit history from 10 to 7 years. Other collection accounts, such as car repossessions, can be reported up to 7 years after the account was sent for collection. The best thing to do in your financial life is to avoid getting into a situation where a bankruptcy or repossession is necessary. This can mean staying on top of your finances and always know how your credit score is sitting. If you currently have debt make a plan to pay it off before it’s too late and you lose your personal belongings. Unless you are making a large purchase or spending money, you only get one credit report per year. This can make it slightly difficult to keep track of your credit score but it doesn’t mean you should neglect it. When taking a look at your score you should always check to see if things you paid off have been removed. You should also look for items that do not belong on your credit score such as things that appear to be results of identity theft. If you don’t know what’s going on with your credit that may leave it open for others to take advantage of you. Staying vigilant on your credit score is important to keeping your finances healthy. There are programs out there that help you to keep track of your spending and your credit accounts. This can help you stay on top of your finances and maintain a good rating when the time comes that you need to make a purchase or use your good score to your advantage.